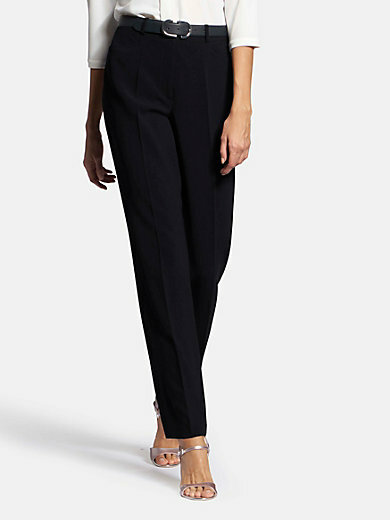 Trousers by BASLER in elegant cut with permanent crease, waistband with belt loops, 2 pockets on the front and straight leg. The low-crease woven fabric has a pretty drape, exudes dignity and offers a high degree of comfort. Made of 69% triacetate, 31% polyester.Belt not included. Inside leg length approx. 33ins. Ankle width approx. 16ins. The trousers are machine washable.